Teehan+Lax maintains an iPhone PSD template for app mockups. 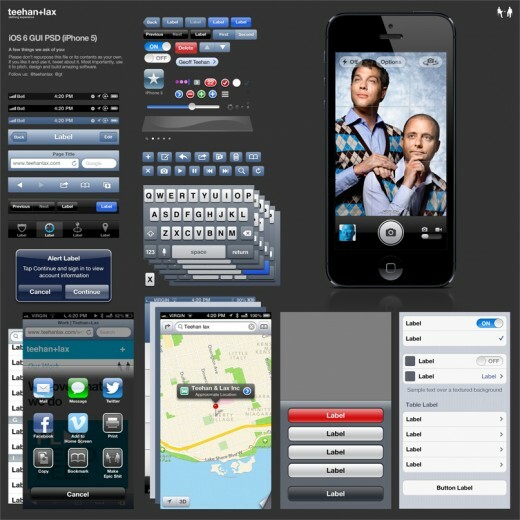 This template provides all the iPhone buttons and widgets to create any conceivable app mockup in Photoshop. It is an excellent resource and available for free on their website. Pixel Resort has an entire website dedicated to bring you the best iOS icon template available. The template features the ability to create all shapes and sizes of icon media through scripted Photoshop batch commands. It is an excellent find and can be found on their dedicated website.